Ashe's Quay Grid / Wall Bookings. 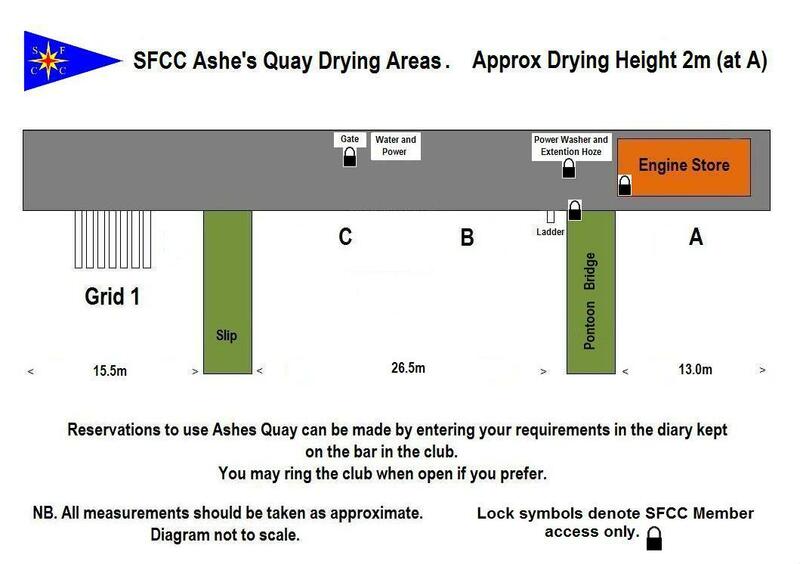 Members are advised that the booking proceedure for Ashes Quay Grid / Wall is as follows. There is a reservation diary on the bar, and members are asked to book their requirements direct, or ring the club on 01626 891996, when the bar is open. Please view the diagram below, (click to enlarge), which shows Ashe's Quay layout. It might help you decide which area you would like to reserve.